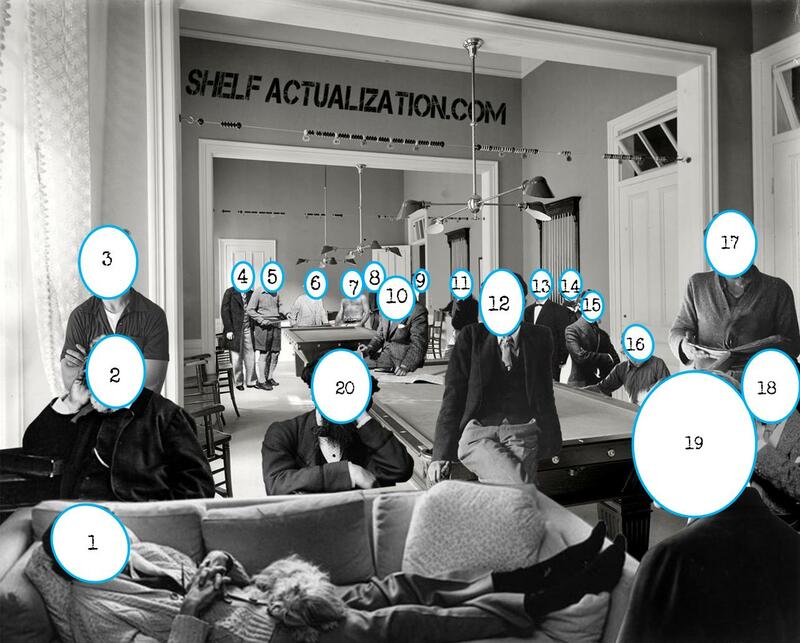 Shelf Actualization: ...Aaaand we're live! 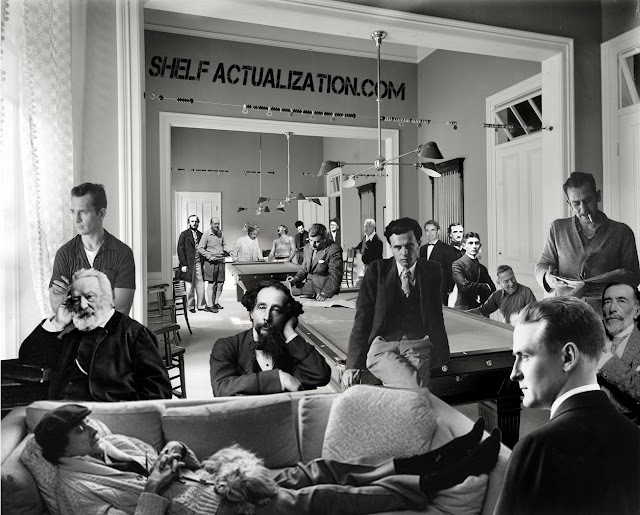 Welcome to ShelfActualization.com, your home on the web for lowfalutin literary delights. We hope you’ll take a look around, subscribe to our feed and come back early and often. Tell you what, though. Rather than go formally around the room, Let’s kick things off with a contest, shall we? Name as many of these authors as you can. Feel free to chat, commiserate and mislead in the comments below, but make sure to email your entry to editor@shelfactualization.com. The person with the most correct answers wins a $50 Amazon gift card. Or, if you'd prefer, and if we can swing it, a $50 credit at a local bookseller of your choice. If multiple people identify all twenty authors, they will be compiled into a numbered list based on the order of their entries and the winner will be chosen from among that list by a random number generator. The winner will be picked one week hence. Have at it, and thanks for visiting! Cool Stuff. I hope to stop back by. Good luck. For our readers' information, Mac has extremely sexist/chauvinistic tastes in literature, as evidenced by his inclusion of twenty dead white males in the puzzle. i actually knew several of them. nice. We'll cut to the Ladies' Tea Room at a later date, Orlando, but for now I guess I'll throw out the one small hint that not all twenty authors pictured above are dead. Looks great, guys! Glad I found this place. I'll be back!